Google Docs built-in features allow you to create a wide vareity of simple digrams to visually communicate your ideas. 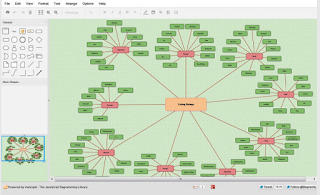 However, if you are looking to take your diagramming abilities to the next level and create professionally looking diagrams then you should definitely try out the tools below. Besides their intuitive editors, they also provide a number of handy features that allow you to collaborate and work with your peers in real-time. However, Lucidchart and Gliffy are not free, they only offer basic version or free trial version. We invite you to check them out and share with us your feedback. This is a powerful Google Drive-integrated tool for creating and inserting diagrams, flowcharts, mind maps, mockups, and wireframes into your Google documents. Lucidchart offers collaborative features that enable you to work on diagrams with your colleages in real-time. It also offers ‘in-editor group chat and comments with @mentions’. 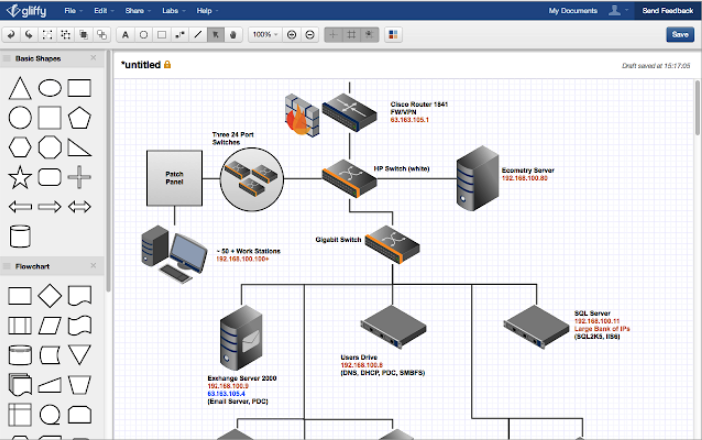 Diagrams created through Lucidchart can be exported as a PDF, PNG, JPG, or Microsoft Viso. They can also be embedded in blogs, wikis or websites. Note, Lucidchart Diagrama has a free version with very limited features, you will have to pay to access more features. 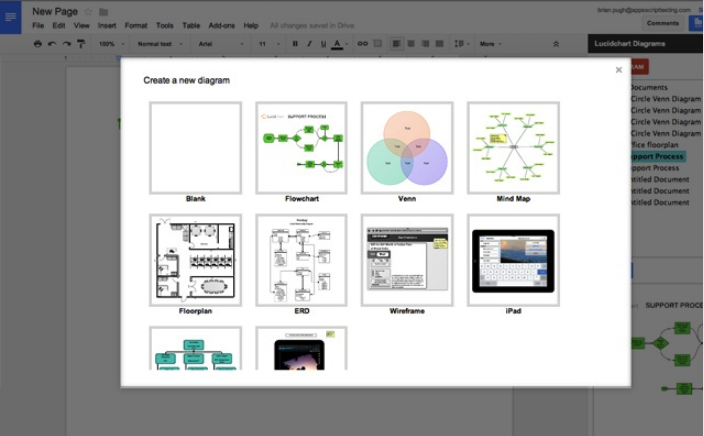 Gliffy is another good tool to use on your Google Docs to create professionally looking diagrams. Its editor is simple and easy to use and provides you with handy tools to draw and edit your diagrams. Its shape library features a number of pre-designed shapes and connectors to use in your creations. 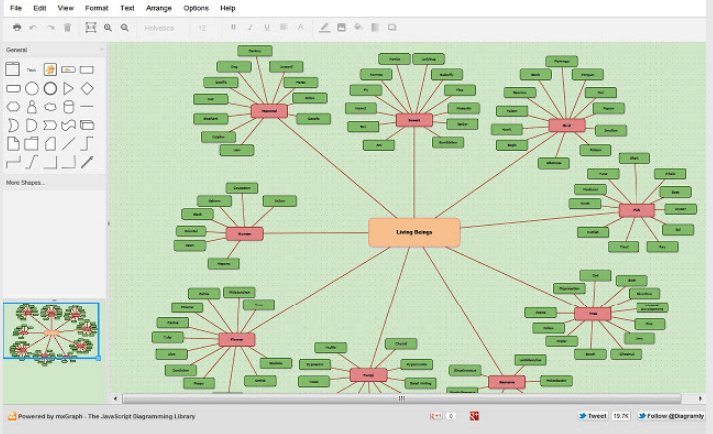 Besides diagrams, you can use Gliffy to create org chart, network maps, UI mockups, venn diagrams and several other diagrams. Gliffy is not free but it does offer a free trial version. This is not as powerful as the previous two tools but it’s still a good alternative to try out especially that is free of charge. You can use it to create simple workflow diagrams to share with others. It supports multiple Google accounts and all of your created diagrams are automatically stored on your Google Drive.